September Giveaway – Yvonne Boutique Signature Necklace! A gold plated signature necklace from Yvonne Boutique! The great thing about Yvonne’s signature necklaces is you can have yours exactly how you want it. 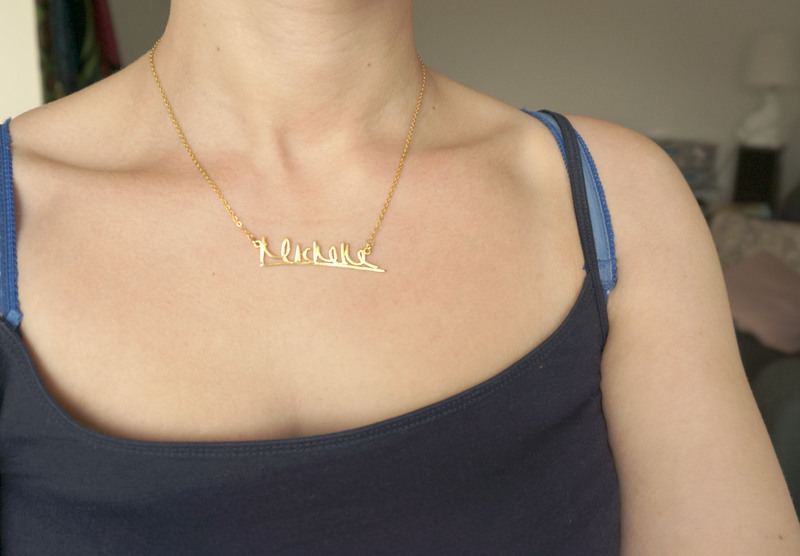 My necklace is of my name, how I write it (rather than my signature). It’s gold plated and on a 16 inch chain. You can choose your necklace to be gold, white gold or silver plated, and choose your chain length too. Zoejewel Necklace and MAC RIRI GIVEAWAY! Willow & Clo Sound Waves Collection Competition! Previous Post Meet August’s Lovely Blogger Advertisers! Next Post Fantasy Shoes Wishlist!